Since we have a lot of leftover from our last Saturday cooking frenzy, I decided to have good breakfast (compared with my regular coffee & cheese sandwich breakfast). After I rummaging the refrigerator I found sausages there. 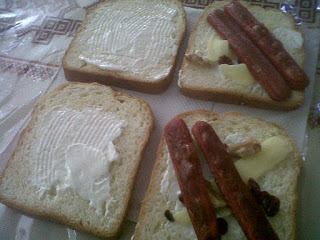 So the Pan Fried Sausage & Cranberry Sandwich is born. The taste is great, because we got the savory taste of Sausage and Cheese, but at the same time we have the sweetness of the Cranberry. 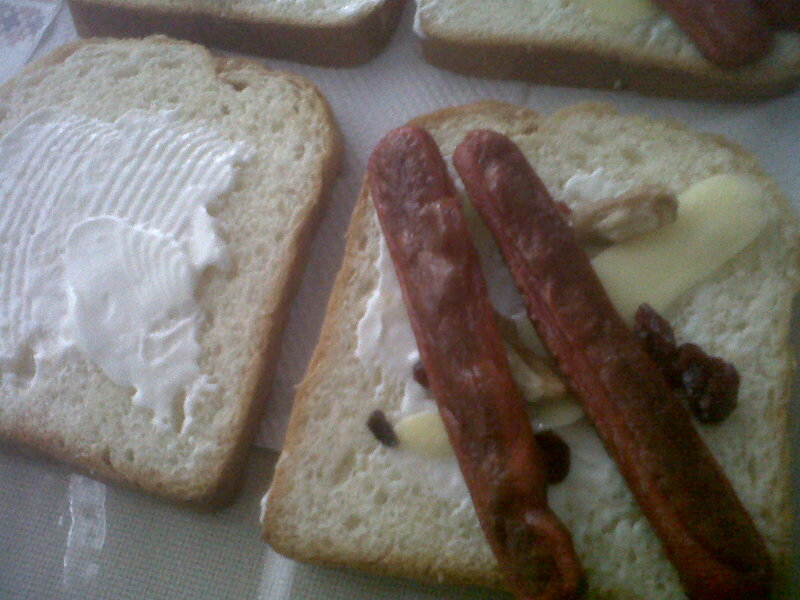 I will definitely create this sandwich again, as this one is quickly become one of my favorite food.